Girls, wall of sound production; you know the drill. 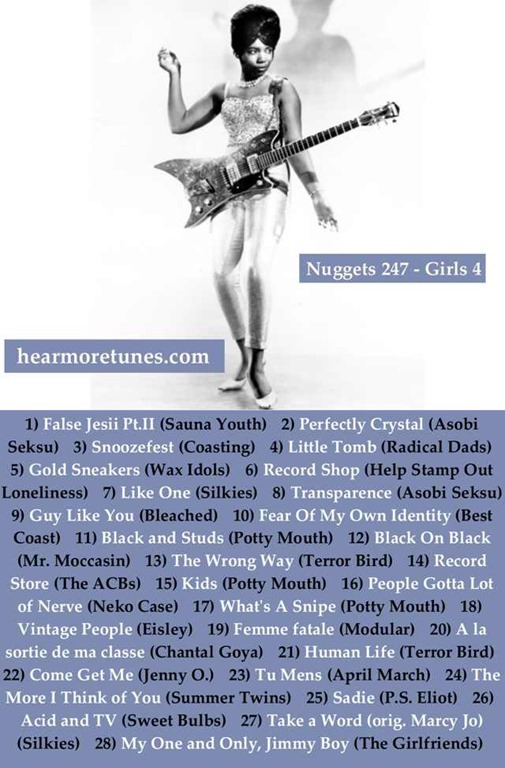 Norma-Jean Wofford aka The Duchess is on the cover, a groovy guitarist who played with Bo Diddley. The Duchess kept up with Mr Diddley, but on heels, as demonstrated in the clip below. It’s slightly disconcerting that nearly all these bands are from the USA. Note to self, listen to more local bands. Sweet Bulbs is a now defunct Brooklyn band that made a delightful smeary sound. Some of the band members play on as Butter The Children – see the Bandcamp widget below. 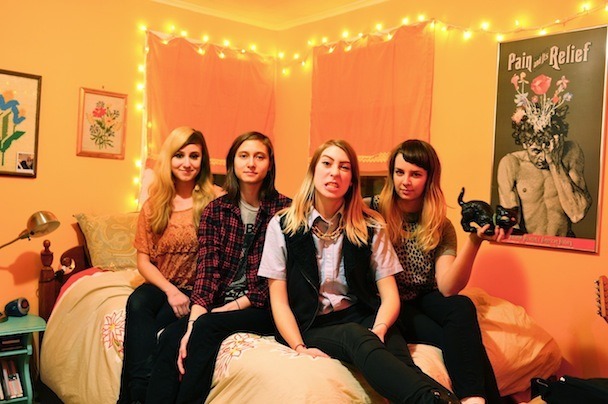 Potty Mouth is a tuneful grrrrrrl band. They can be intimidating to mild mannered men. Asobi Seksu have an excellent shoegazey sound. Sad to report but they have decided to stop making music. There are two songs about record stores, one from through the eyes of a crazed fan, the other seeing the shop as a place to pick up guys / girls. I prefer the crazed fan one – sharp lyrics. In Sadie, Katie Crutchfield of the late P.S. Eliot lets rip. This may the last chance we have to hear her scream now that she has gone all mainstream. Hopefully her (twin) sister will keep up the yelling. Asobi Seksu – Perfect Crystal from Future Sweden on Vimeo.